The Practice reception is open for the deposit and collection of repeat prescriptions, medical report and certificate requests and enquiries from 8.00 am until 6.00 pm on Mondays, Tuesdays, Thursdays and Fridays and from 8.00 am until 6.00 pm on Wednesdays. 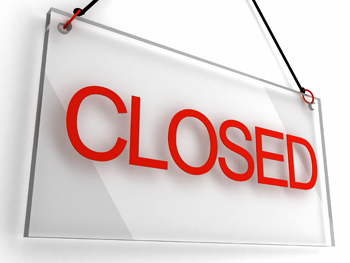 Please note that we are closed on the first Wednesday of each month for training. Reception is open only to receive patients with pre-booked appointments on Saturday mornings (9.30 am– 12.20 pm). We regret that we are unable to deal with new patient registrations or repeat prescriptions on Saturday mornings. Practice telephone lines are open for appointment booking and enquiries from 8.30 am until 6:30 pm on Mondays, Tuesdays and Fridays and until 6.00 pm on Thursdays. The telephone lines are open from 8.30 am until 1.00 pm on Wednesdays. After 1.00 pm on Wednesday you will automatically be put through to Birmingham And District GP Emergency Rooms (BADGER), our out of hours co-operative. Please do not telephone about non-urgent matters between 8.30am and 10.30am if at all possible - there is often a heavier volume of telephone calls at this time so your call may take longer to be answered during this period. Doctors and nurses have a variety of duties to perform including home visits, report preparation, case conferences, meetings and teaching as well as being available for consultations with patients in the surgery. They are therefore not in the Practice at all ti mes throughout the day and are not available every day of the week. Our doctors and nurses work together, however, to offer our patients consultations at a variety of times throughout the day from 8.00 am daily until 6.00 pm, including lunchtimes. The Practice offers consultations at extended surgery times on Thursdays and Saturdays - please see the section on Appointments for full details. All consultations are by appointment only. To arrange an appointment with a doctor or nurse please telephone 0121 622 4846 and choose Option 1 or alternatively use the online booking system. Please note that we do not offer a walk-in facility - all consultations are by appointment only. If you arrive at the surgery wishing to be seen and there are no appointments available, we will not be able to help you. Doctors cannot see patients outside their regular times as they have other duties at these times. Between the hours of 6.00 pm and 8.30 am Monday to Thursday and 6.00 pm on Friday through to 8.30 am on Monday and after 1.00 pm on Wednesday (Please note that on Wednesday afternoon we are still open for patients to attend the Practice - except on the first Wednesday of each month), when you call the surgery you will automatically be put through to Birmingham And District GP Emergency Rooms (BADGER), our out of hours co-operative. For urgent medical care out of hours please telephone the practice on: 0121 622 4846 Your call will automatically be transferred to BADGER, who will give you telephone advice, ask you to attend one of their medical centres or, if the condition requires it, provide a home visit.